Limousine Bergamo, Airport Shuttle Bergamo, Taxi Bergamo, Bus Bergamo from Bergamo airport to Milan Linate airport starting at only 30.00 euros including bags and taxes. Limousine Airport Shuttle Taxi Bus Bergamo from Milan Linate airport to Bergamo airport starting at only 30.00 euros including bags and taxes Limousine Airport Shuttle Taxi Bus Bergamo from Bergamo airport to Milan starting at only 30.00 euros including bags and taxes Limousine Airport Shuttle Taxi Bus Bergamo from Milan to Bergamo airport starting at only 30.00 euros including bags and taxes. Our Company has a large selection of Limousines in Bergamo, Airport Shuttles in Bergamo, Taxis in Bergamo, Buses in Bergamo and provides service to all destinations in Europe. By Airport Shuttle from Bergamo airport to Bergamo at the cost of 30.00 Euros for 1 person or 38.00 Euros for 2 people + 15.00 Euros for each additionalperson. By Airport Shuttle from Bergamo airport to Bergamo at the cost of 30.00 Euros for 1 person or 38.00 Euros for 2 people + 5.00 Euros for each additional person. By Limousine from Bergamo airport to Bergamo at the cost of 30.00 Euros ( price is for 3 or 4 people ). By private coach for large groups from Bergamo airport to Bergamo starting at 164.00 euros. By Airport Shuttle from Bergamo airport to Milan Malpensa airport at the cost of 30.00 Euros for 1 person or 35.00 Euros for 2 people + 5.00 Euros for each additional person. By Limousine from Bergamo airport to Milan Malpensa airport at the cost of 140.00 Euros ( price is for 3 or 4 people ). By private coach for large groups from Bergamo airport to Milan Malpensa airport starting at 239.00 euros. By Airport Shuttle from Bergamo airport to Milan Linate airport at the cost of 30.00 Euros for 1 person or 35.00 Euros for 2 people + 5.00 Euros for each additional person. By Airport Shuttle from Bergamo airport to Milan Linate airport atthe costof 30.00 Euros for 1 person or 35.00 Euros for 2 people + 5.00 Euros for each additional person. By Limousine from Bergamo airport to Milan Linate airport at the cost of 99.00 Euros ( price is for 3 or 4 people ). By private coach for large groups from Bergamo airport to Milan Linate airport starting at 199.00 euros. By Airport Shuttle from Bergamo airport to Milan at the cost of 30.00 Euros for 1 person or 35.00 Euros for 2 people + 5.00 Euros for each additional person. By Limousine from Bergamo airport to Milan at the cost of 99.00 Euros ( price is for 3 or 4 people ). By private coach for large groups from Bergamo airport to Milan starting at 199.00 euros. Prices all includes baggage and taxes. Our Company provides Limousine service from Bergamo to Bergamo airport. Our Company also provides Limousines in Bergamo to rent by the hour, Limousines in Bergamo for excursions within Bergamo or outside Bergamo , Limousine in Bergamo for weddings cerimony. Our Company also provides Limousines in Bergamo with multilingual drivers for private tours . Our English speaking drivers can provide sightseeing tours of Bergamo either alone or accompanied by a guide in any language. 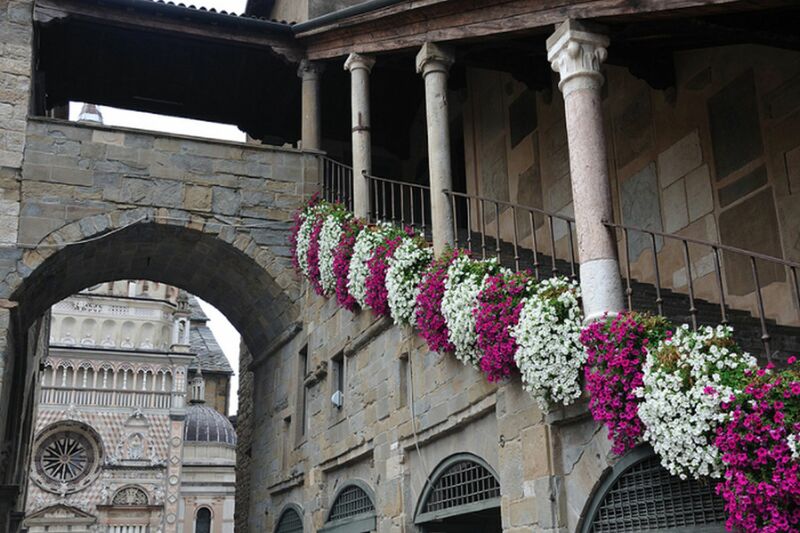 We also provide private tour of Bergamo in German, French, Spanis,Portuguese, Russian, Chinese, Japanese, Arabic, Hebrew, Dutch, Serbian, Korean, Croatian, Hindi, Polish, Pilipino. Bergamo Airport Shuttle Bergamo Taxi Bergamo Limousine Bergamo Bus DOOR TO DOOR BERGAMO LIMOUSINE , BERGAMO AIRPORT SHUTTLE , BERGAMO TAXI , BERGAMO BUS. Transfer for 30 persons Bergamo-Torbole 16-19 sept.
Hello! We are interested in rent of the bus with the driver. Route: April 12: the airport of Bergamo or the Pisa airport - hotel in Milan. April 13: morning hotel Milan - sporthall in the Bussero evening sporthall in the Bussero - hotel Milan April 14: morning hotel Milan - sporthall in the Bussero evening moving in Genoa. hotel. April 15: morning departure in Monaco. evening departure of Monaco-Nice. April 16: Nice. April 17: Nice - the airport of Bergamo. what price of such program? Здравствуйте! Нас интересует аренда автобуса с водителем. Маршрут: 12 апреля: аэропорт Бергамо или аэропорт Пиза - отель в Милане. 13 апреля: утро отель Милан - спорт комплекс Bussero вечер спорт комплекс Bussero - отель Милан 14 апреля: утро отель Милан - спорт комплекс Bussero вечер переезд в Генуя. отель. 15 апреля: утро выезд в Монако. вечер выезд Монако-Ницца. 16 апреля: Ницца. 17 апреля: Ницца - аэропорт Бергамо. какая цена такой программы? с уважением, Ришат Саяпов The price that you have kindly requested with a chauffeured 50 seat Mercedes Bus is 3.600 Euros + Ztl taxes .